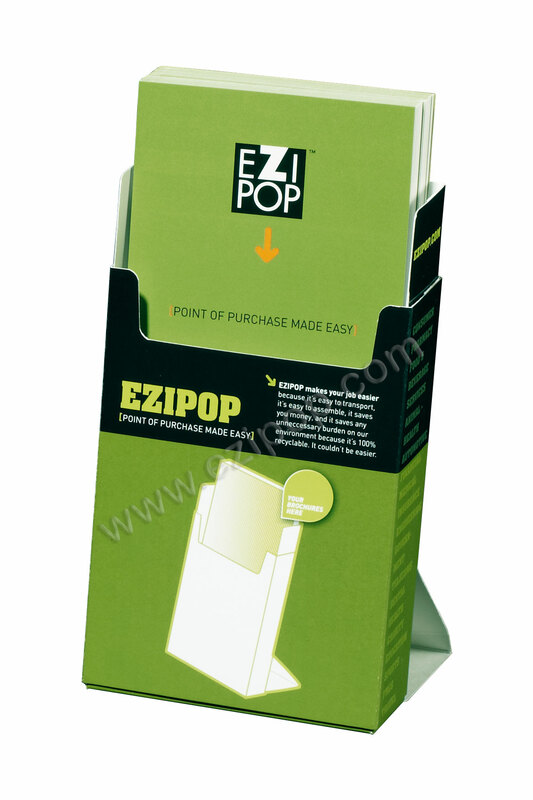 EZIPOP cardboard brochure holders are the green way to display brochures, leaflets and products at P.O.P. Our patented products provide on counter advertising information at point of sale that’s easy to use, easy on the environment and easy on your budget. They advertise your message, and information right where your customers make their final purchase decision and make a subtle statement about your organisation’s committment to a greener, smarter world. You can Bank on it. Appliances, burns and ticks - what's their story? Brochure holders followed the introduction of sales brochures and they weren’t commonplace until the mid 60’s when printing, especially full colour, became affordable and suitable for a company to promote it’s wares in media other than just magazines or newspapers. 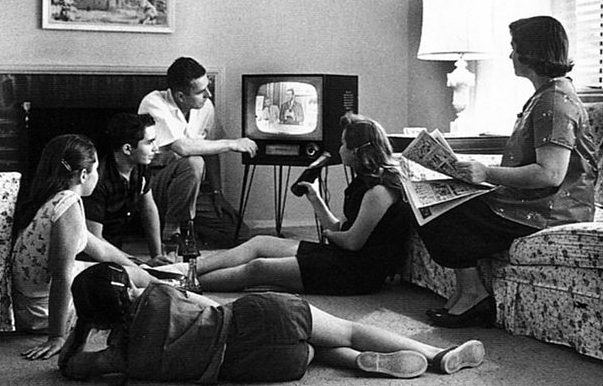 TV was in a limited number of American homes by the mid 50’s and was introduced into Australia in 1956. So as TV was catching on and proving a great way to spread the company message, brochure printing was on the rise too. TV at the time was black and white but brochures could be reproduced in glorious colour, so they were usually treated with reverence by consumers. They were mostly large (A4 or Quarto size), so not something you would slip into a shirt pocket or handbag. Eventually brochures became more commonplace and printers were experimenting with new folds and page arrangements. I believe it was around the late 60s to early 70s when trifold 6 page brochures became a common format. They were a convenient size and could hold a lot of sales information. At first most stores were happy to have some lying on their counter or next to the product but as store space became more precious, someone had to find a way to keep these brochures tidy and taking up less space. Some of the first brochure holders were fabricated out of clear or opaque plastic materials in the 70s, with many and varied designs; some quite intricate and others very basic. Around this same time, some plastics manufacturers saw the benefit of injection moulding, rather than time consuming and wasteful fabrication. Clear plastic brochure holders of various designs reigned supreme until the oil crisis of the mid 70’s when anything made from petrochemicals was looked at negatively and eco-friendly cardboard alternatives were sought. There were some weird and wonderful designs using mostly corrugated cardboard but they often lacked the quality appeal of acrylic holders due to poor printing and general appearance. It's clear, EZIPOP cardboard brochure holders were needed! It was clear that an innovative and stylish cardboard brochure holder was required. EZIPOPs were invented in the late '90s, to satisfy aesthetic and practical needs and to overcome plastic holder’s shortcomings like break-ability, scratching, bulky when packed and expensive to transport or store. Importantly EZIPOPs needed to overcome the issue of brochure holder hijack, where other companies sneakily put their brochures in a competitor’s clear holder. Plastic or acrylic holders had become yesterday’s solution and something fresh was needed. 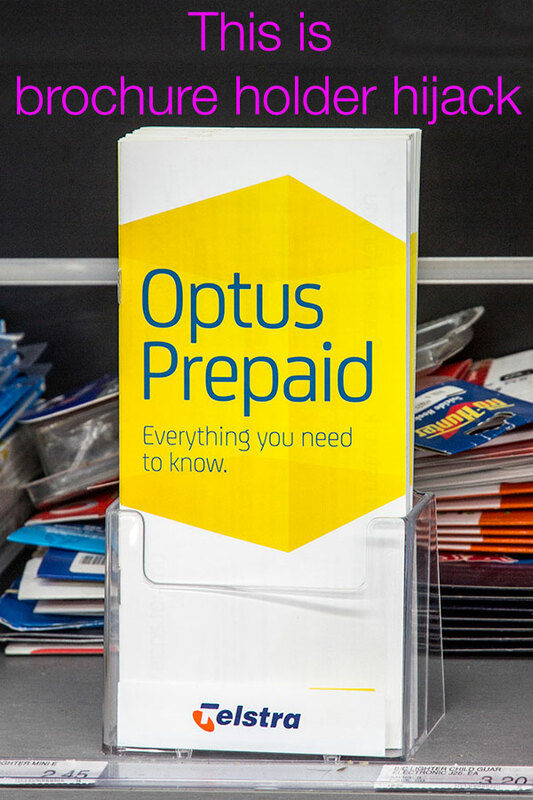 See the example at left, where Telstra have paid for the clear plastic holder and despite the small Telstra logo at the base, a competitor, (Optus) has used the holder for their sales brochures. EZIPOPs can ship and be stored flat. They’re made from high strength solid cardboard, not corrugated, so can be litho or offset printed to enhance the brochure’s graphics. If they’re dropped, they don’t shatter or break. They're available in all sizes. EZIPOP is the only cardboard brochure holder that is Internationally Patented. They truly are unique. Want to compare a plastic brochure holder with an EZIPOP? Contact us and ask for a free sample. We’re sure you will be impressed. If you’d like a price to compare with what you’d pay for plastic, just give us the details and we’ll be right back to you. “We used to use the ordinary clear plastic stands but found other companies were putting their leaflets into our holders. This is in spite of us having used a sticker with our logo and info on the front and employing merchandisers to check on these things. Since switching to EZIPOPs, we almost never have this problem, so it has saved us time and money. By the way, you were right, they do take up a fraction of the space in our warehouse.” Explained Tony of Argyle Rentals. EZIPOP freestanding pop up cardboard brochure stands or cardboard brochure holders, are available in most popular sizes like DL, A5 and A4 as well as various tri-fold or custom sizes, through to multi pocket brochure displays or magazine displays. Our pop up, freestanding product dispensers are custom sized to suit each product and like our brochure holders, they're economical, green and fully recyclable. They save on transport and distribution costs because they ship flat, pack flat, flat pak and store flat. Advertising at POS or POP [point of sale or point of purchase] by displaying your literature or products where the final decision is made using EZIPOP patented cardboard displays is the smart eco-friendly way to market your product or service. Patented and Design Registered Internationally. US6,637,594 B1 AU780843 & 2005202012 EU314570 Pat.2010901980 Pending Aus. & International Reg. Reg Des. 310562, 317446, 148401, 146043, 146044, 155579, 149565.EZIPOP® is registered in Australia & EU. EZIPOP™ pending elsewhere.